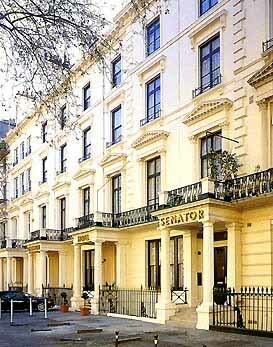 Situated in a leafy arbour, we present the Senator Hotel, converted from a terrace of early Victorian town houses and one of the few remaining privately owned hotels. It is conveniently positioned near Hyde Park and in walking distance of the beautiful Kensington Gardens. Behind the splendor of the original period facade, a splendid hotel, charming in its size with ninety-nine tastefully appointed guest rooms. All the facilities that the modern day traveler requires. With the emphasis on family, we offer our unique Duplex Suites. Parents can rest assured in the knowledge that a family can be catered for under one roof.